♦ TONIGHT! Dec 14, Jim Sisko’s Bellevue College Jazz Orchestra Performing at Tula’s Jazz Club – $10 cover charge 7:30 pm. ♦ December 16, 17 & 18 you are invited to see Scott Bessho playing multiple roles in a radio stage play version of Miracle on 34th Street and a radio comedy short, The Case of the Missing Reindeer, at Kenyon Hall in West Seattle. Tickets available through Brown Paper Tickets. ♦ THANK YOU to all the early birds that submitted your syllabi for winter 2017. All other faculty, remember to use Gordon Leighton’s syllabi template which includes all the new updated links and information. Please note that the template explains a little bit about ADA compliancy, but isn’t ADA compliant itself. Be sure to be ADA compliant in your syllabus, or try to be better at being ADA compliant. ♦ Winter 2017 Final Exam schedule. The schedule isn’t posted on the BC web site as of today, but Michelle managed to find it in the printed schedule and put it together for everyone. THANK YOU MICHELLE! ♦ Click here for a reminder of how to mark you syllabi “public” and send your syllabus link for posting. 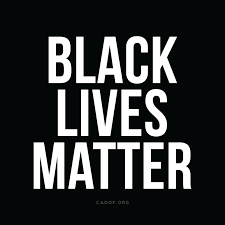 Invitation to entire campus community to show support for our Black Student Union by wearing Black Lives Matter shirts on the first Thursday (Jan. 5) of Winter quarter 2017. Please read more from Fernando Pérez of how to purchase the shirts. ♦ Friday, Jan. 27, 2017 – The Bellevue College Pacific Vocal Jazz Festival 2017. Friday, January 27, evening concert tickets available through Brown Paper Tickets. ♦ February 2, 3 & 4 2017 – The Bellevue College Jazz Band Festival 2017. Saturday, February 4, evening concert tickets available through Brown Paper Tickets. ♦ March 8-11, 2017 – Carrie the Musical, Carlson Theatre | Tickets available through Brown Paper Tickets. ♦ March 17, 2017 – Bellevue College Student Dance Showcase, Carlson Theatre | Tickets available through Brown Paper Tickets.